“I’m inhaling WHAT?? ?” was my initial response after being told that pharmaceutical grade salt would be blown into the salt room by a halogenerator. 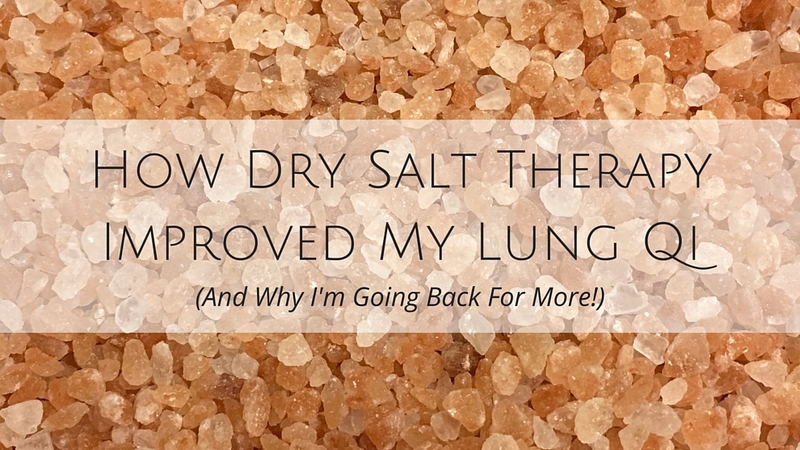 When Marta from Breathe Salt Rooms first reached out to me about their Dry Salt Therapy, and I hopped on their website, as soon as I saw the wall-to-wall Himalayan salt slabs on the wall, the entire floor covered in Himalayan salt rocks, and the Himalayan salt lamps sprinkled throughout their room, I knew I was hooked! I also checked out the medical research links on their website, and I was even more intrigued about the benefits of soaking in salty goodness in a cavelike atmosphere! Did I mention yet that I LOVE everything Himalayan salt? Ever since my Primary Care Physician noticed my pre-hypertension over a year ago, I was primed to make some changes in my diet. It wasn’t coincidence that around that same time, I also started eating cleaner, due to a detox diet I was doing to clear up some skin ascension symptoms. It started off with a diet of no gluten, dairy, corn, lamb, nightshades, sugar, caffeine, peanuts, and eggs. On top of that, I had to watch my salt intake. To be slightly dramatic, I thought for sure I would die being on a diet like this. 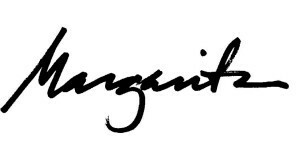 From starvation and neglect! Obviously, I didn’t turn into a wisp of a person, and I’m still here. So, I’m doing something right! Part of this new diet meant that I had to cook a lot more for myself than I ever have before. And, when I changed to Himalayan salt for all of my cooking, my blood pressure readings went WAAAAY down. I am no longer on my PCP’s hit list (which is a feat, since the rest of my family has high blood pressure which they are on meds for), and she was surprised that cooking my own food and switching to Himalayan salt was enough to make the shift for me. I am no longer on such a restricted diet, but I remain gluten-free, dairy-free, refined sugar-free, and low natural sugar, in general. And now, Himalayan salt is the only salt I use to cook with. I also have Himalayan salt lamps in my apartment, which emit negative ions to counterbalance the influx of positive ions we get bombarded with from our electronic devices. Me in a dimly lit room of glowing Himalayan salt lamps, rocks, and wall slabs? Yes, please! Selfie at Breathe Salt Rooms. Copyright © 2016 by Alcantara Acupuncture & Healing Arts. All rights reserved. Marta greeted us when we arrived, and explained how the salt room worked. She brought us into the room, and invited us to take off our shoes, so we could walk on the Himalayan salt to our chairs (I’ve also read in their pamphlets that they sometimes provide booties to wear over shoes, or that you can go in with socked feet.) It took some getting used to walking on salt rocks, but just being in that room was so wonderful, already! She set us up with mini-iPods and headphones, and left us so she could dim the lights while we rested for the 25 minutes of our session. Dry Salt Therapy, or halotherapy, improves overall wellness by detoxing the lungs and skin in a holistic, drug-free, natural way. It promotes better breathing, healthier skin, sounder sleep, improved physical fitness and endurance, and helps reduce stress levels. Since salt is a naturally antibacterial, antiviral, antifungal, and anti-inflammatory, it helps to reduce inflammation in the respiratory tract, helps to widen the airways, accelerates the movement of mucus, eliminates toxins and allergens, and boosts the immune system. During Dry Salt Therapy, very tiny microparticles of pharmaceutical grade salt is blown from their halogenerator into the salt room. The non-inhaled particles landing on the skin helps normalize the pH balance, and induces the reparative and regenerative processes of the skin. When I first learned that I was going to be around, and inhaling, all this salt, I expressed concerns about it possibly raising blood pressure. I was surprised to learn that because the particles of salt are so small, and the amount taken into the system so minimal (to be specific, the concentration is 1-10mg), it is safe for those of us watching our blood pressure! Skin Conditions: Acne, Dermatitis, Dry and Flaky Skin, Eczema, Rosacea, and Psoriasis. Also, helps fight against Skin Aging. In Chinese Medicine, the Lungs govern the skin. That means that the skin can reflect the health of the lungs, and that the detoxification and imbalances of the Lungs can be seen in the skin. Because Chinese Medicine not only encompasses our physical health, but also our emotional and spiritual health, as well, the Lungs also tell us when we are having issues around grief and letting go. That minute, dry cough that goes on incessantly after the passing of a loved one, or after a terrible breakup? That is your Lungs helping you move through your grief. Or, perhaps you have issues around how you take in the world around you, and how you are breathing, emotionally? The Lungs are the first line of defense in the body, and so is the first organ that we start with when exploring the Chinese Medicine system. It is about receiving, not only about letting go. I was encouraged to breathe in the salt air, deeply into my chest, during my session. I heartily obliged. I could tell that there was something different in the air, but I also noticed that I was starting to feel lighter, less stressed, and more grounded (salt is an earthing substance, after all). I noticed that I coughed a bit, which I found later to be a way the body was detoxing my Lungs. Frankly, it was so pleasant in there, I stayed there until I absolutely had to leave. I emerged from that little Himalayan salt room as if my Lungs had been scrubbed clean! They actually felt greater in capacity and more open for a long period of time after the session, which I could see as an immediate benefit for athletes and those working on endurance. I went home and slept soundly and deeply that evening. 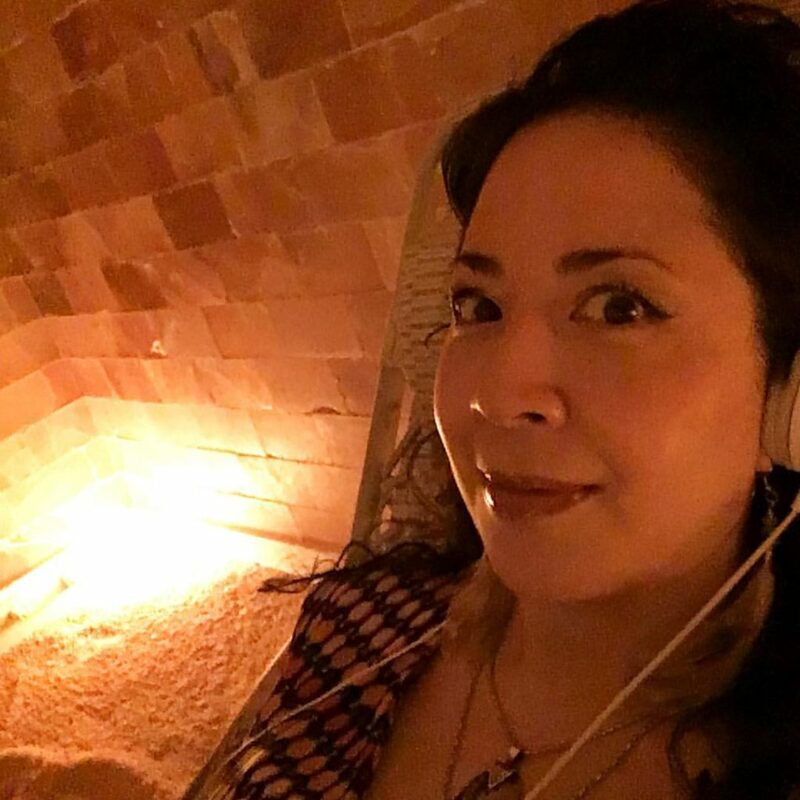 I love how Dry Salt Therapy improved my Lung Qi, and I’ll be returning soon to give my Lungs (and Body and Spirit) some restorative love and rejuvenation in this Himalayan salt cave oasis in the midst of New York City. Have you ever experienced Dry Salt Therapy, or enjoy the benefits of Himalayan salt? If so, tell us about your experience, below!